Processor: Intel(R) Celeron(R) Processor J3355, Dual-Core, 2.00GHz; The perfect combination of performance, power consumption, and value helps your device run smoothly. Monitor: 19.5-inch diagonal widescreen HD+ (1600x900) TN WLED-backlit monitor; Enjoy your photos, movies, and games with the crisp quality of 1.4 million pixels. Memory: 4 GB DDR3L-1600 SDRAM; Designed to run more efficiently and more reliably at faster speeds. 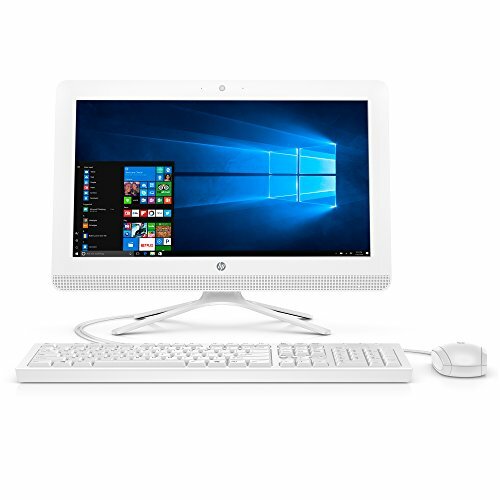 Keyboard and mouse: Comes with the HP USB White Wired Keyboard with volume control and USB White Wired Optical Mouse.